Prompted by my colleague Manu Faaea-Semeatu, I put together the following list that should help educators to better understand Pasifika. 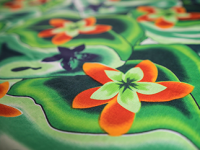 Pasifika is a term that is unique to Aotearoa and is a term coined by government agencies to describe migrants from the Pacific region and their descendants, who now call Aotearoa home. Pasifika in Aotearoa refers to people who are descendants of the Polynesian nations of the Cook Islands, Tonga, Niue, Samoa, Tuvalu, Tokelau. This means we don’t all speak the same language. Fiji belongs to a group of nations referred to as Melanesians. Other nations in this group include Papua New Guinea, Solomon Islands, Vanuatu, New Caledonia (part of France), West Papua, Indonesia and Papua. However we can still include them in the definition of Pasifika within the context of Aotearoa. Pasifika peoples in Aotearoa, especially if they are born here, may not necessarily have learned to speak their heritage languages. Usually this is because they have not had access to opportunities to learn their heritage language either in the home or at school. 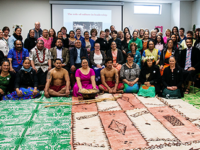 However, some Pasifika peoples may speak their heritage languages in church communities or in their homes if they have strong speakers to help teach them. Intermarriage is, or interracial relationships are, quite common amongst Pasifika peoples or with Pasifika peoples and other cultures. So, it is not unusual to have students in classrooms who, for example, may be both Samoan and Tongan, or Māori and Cook Island. This means that students in schools will benefit from teachers getting to know the subtle differences and nuances of the cultures of their learners. 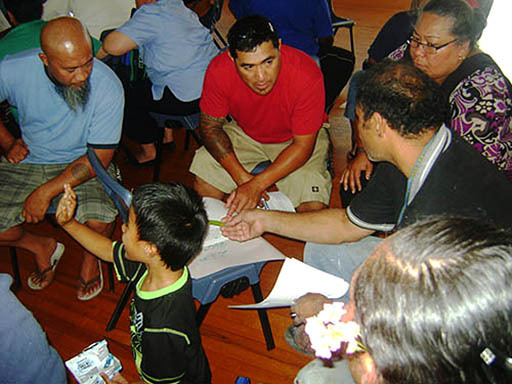 Pasifika peoples like to work in groups to collaborate better with one another, which is traditionally part of their village life before migrating to Aotearoa. Pasifika learners dislike being singled out as this shatters their confidence and potentially harms their self-esteem. If you learn how to correctly pronounce names of Pasifika peoples, this will earn you much respect. Even using phonetics to get the right sounds will take you a long way when working with Pasifika peoples. By making the effort to ensure you use correct pronunciation, it shows that you respect Pasifika peoples and their cultures. Communication is the key and will result in a better partnership and outcomes between school and the home. To establish positive relationships, you must work with families to improve parents’ participation and contribution, even if you encounter some reluctance on the part of families to engage. It is important to respect Pasifika peoples’ voice regardless of their language barriers. For example, even though their tone of voice when speaking their heritage language, or in English, may sound argumentative, they should be empowered to be heard and valued. Use accessible language in communications to homes and the workplace, and avoid professional jargon that might work to isolate or disempower Pasifika peoples. 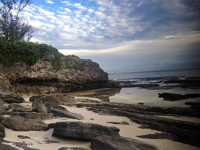 Kia ora Togi – Thanks for sharing your 10 'Important things' Togi – Great read, great info! Hi Togi, I’m really interested to know how the term “pasifika” is unique to Aotearoa and the association of only “Melanesian” with relation to Fiji. I’m from Fiji and the translation of Pacific in our common tongue is Pasifika. We have used this term in all formal and informal literature and communication since its use in our language. I understand that it is probably shared from another country in the Pacific (probably Samoa) but I guess, that is the history of language in the Pacific. Anyways, pasifika to us includes all the 3 main Island nation “groups” or the more commonly used English term “Oceania”. In respect of that which ive provided above, I believe that the term “pasifika” is indeed not unique to Aotearoa. Of course, I understand that the common understanding of Pasifika in Aotearoa and that in the rest of the South Pacific mean different things. Also, with relation to which “island group” Fiji is from – Fiji is not inherently just Melanesian. We can say that Fiji is at the crossroads or the edge of the Melanesian and Polynesian divide, with similar language and hierarchical structures to that of our Polynesian brothers than our Melanesian brothers. We have both Melanesian and Polynesian heritage (with relation to the groups of peoples who travelled to Fiji to populate the islands and that travelled from Fiji to other areas in the Pacific). There are also 2 islands in Fiji that are inhabited by people that are not distinctly I-Taukei (indigenous). 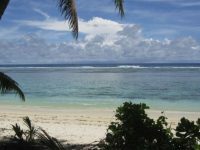 The island of Rotuma (annexed to Fiji by the British government) and is inhabited by people of distinctly Polynesian descent and Rabi (given to the peoples of distinctly Micronesian descent).